Robinson, Kim Stanley. New York 2140. (Orbit Books, 2017). 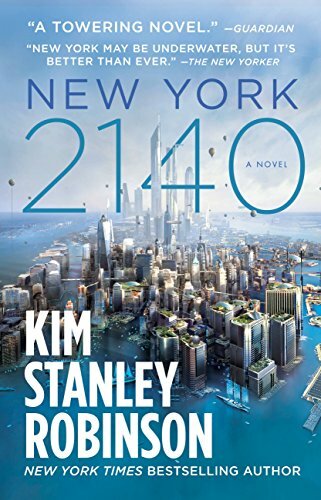 New York 2140 is a sprawling, magnificent tour de force. In its pages, the half-sunken (owing to global warming and consequent rising sea levels) but still-vibrant future Manhattan, criss-crossed by skybridges and streets-turned-canals, that figures peripherally in some of Robinson’s other works, here takes center stage, as average people eking out a precarious existence in the more sunken parts of the city band together to resist the twin threats of storm surges on the one hand and wealthy, predatory speculators from the higher and drier sections of the city on the other. Like many of Robinson’s books, New York 2140 divides its attention among many characters rather than focusing on one or two protagonists. 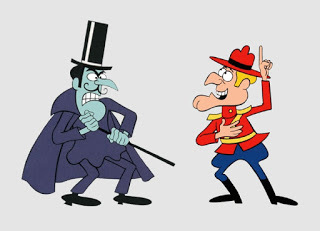 The chapters devoted to different characters’ viewpoints also vary in style, with some being told in first-person, some in third; some in present-tense, some in past; and so on. Periodic expository chapters, leavening their infodumps with sardonic commentary from an anonymous “citizen,” give the novel simultaneously a 19th-century and a postmodern tone. A subplot, only tangentially related to the Manhattan storyline, involving an alternately zany and harrowing attempt to save polar bears from extinction by relocating them to Antarctica via airship (because science fiction writers love airships!) as part of an eccentric reality show, resurrects one of the central themes of Robinson’s Mars trilogy, namely the conflict between versions of environmentalism that favor active human intervention to create or preserve sustainable habitats and versions that valorize the natural, untouched landscape. Hence we’re treated to the spectacle of a purportedly egalitarian, anti-authoritarian, anti-capitalist revolution whose guiding stars are Lord Keynes and the two Presidents Roosevelt, and whose ultimate payoff is to get one of the protagonists elected to Congress – a revolution that begins as bottom-up mutual-aid direct action via “dual power alternative networking,” only to fizzle out into the stale message that government is the heroic force that will save us all from the rapacious capitalists if we only just vote harder. I highly recommend New York 2140 as a beautifully written, richly allusive, perpetually engaging and provocative novel. But I cannot recommend it as a lens through which to view the causes and likely cures of the social ills that beset us.